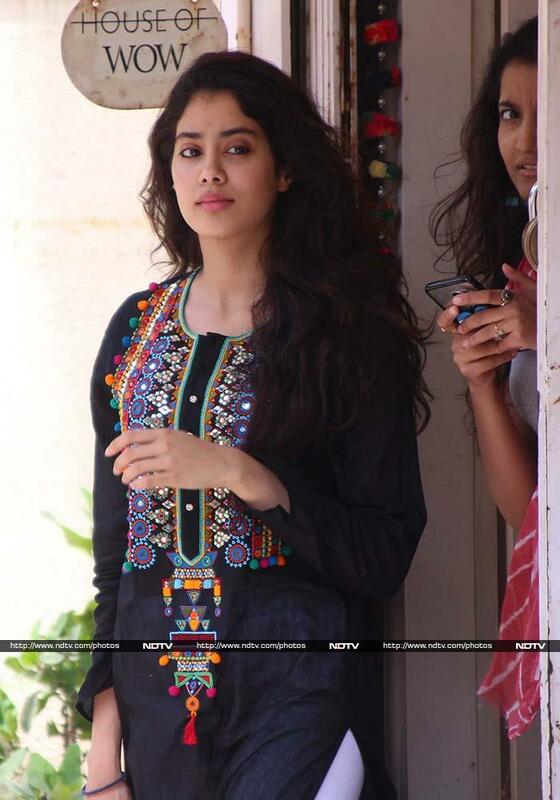 Jhanvi looked pretty in a black kurta with floral patchwork and white leggings. Actress Kangana Ranaut, whose film Simran released in theatres on Friday, attended the Jagran Cinema Summit last night. The 31-year-old actress wore a monochrome outfit by designer Ulyana Sergeenko. She waved for the cameras as she entered the venue. Kangana Ranaut smiled for the cameras along with her Krrish 3 co-star Vivek Oberoi. Actor Varun Dhawan, who is awaiting the release of his forthcoming film Judwaa 2, also attended the Jagran Cinema Summit. He looked dapper in a white t-shirt paired with black pants and blazer. 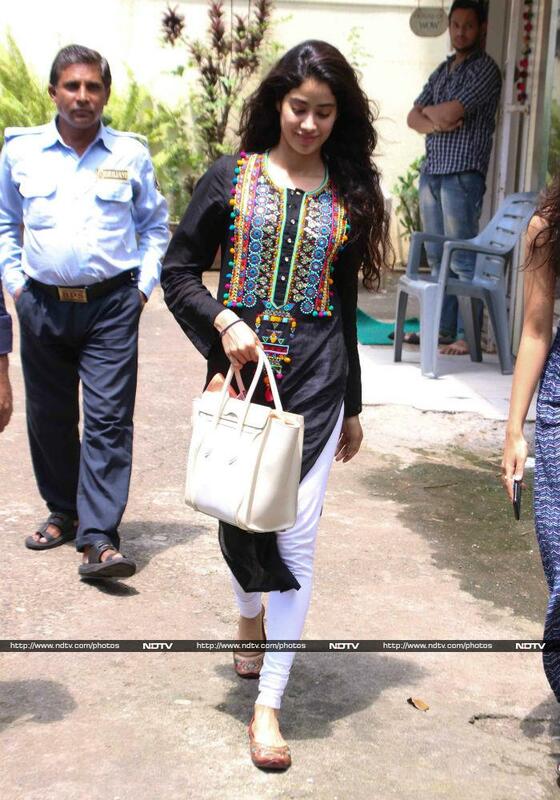 Mini Mathur looked fabulous in an outfit by designer Payal Singhal at the Jagran Cinema Summit. Sunny Leone and her husband Daniel Weber attended the launch of season two of the Premier Futsal in Mumbai. The much-in-love couple smiled for the cameras. Actress Sushmita Sen was spotted outside a restaurant in Bandra. The 41-year-old actress was dressed in an all-black outfit. She happily posed for the cameras. Salman Khan's rumoured girlfriend Iulia Vantur was spotted outside a salon in Bandra, Mumbai. She was dressed in a blue off-shoulder top paired with ripped denims. Actor Shahid Kapoor was spotted outside his gym in Juhu. The 36-year-old actor, who is busy shooting for Sanjay Leela Bhansali's Padmavati, hid his face from all the paparazzi. Tiger Shroff was spotted at the launch of season two of the Premier Futsal in Mumbai. He posed for the cameras. Emraan Hashmi was photographed outside a restaurant in Bandra. He was dressed in a black t-shirt paired with denims. The actor smiled for the cameras. Actor Aditya Roy Kapur, who last featured in Ok Jaanu was spotted outside his gym. The 31-year-old actor was dressed in blue t-shirt paired with shorts.